Pituitary disorders in children are rare medical conditions that are best treated by a multidisciplinary group of specialists. At UCSF, pediatric patients with pituitary disorders are treated in a state-of-the-art children’s hospital where they can receive care from physicians with in-depth understanding of how pituitary disorders affect this age group. Some of the more common pituitary disorders seen in children include pituitary tumors (such as prolactinomas), craniopharyngiomas, and Rathke's cleft cysts. Pituitary dysfunction caused by the growth of abnormal masses can result in loss of normal growth, or failure to progress through puberty. Other common consequences include visual loss and a buildup of cerebrospinal fluid (hydrocephalus). Some conditions, notably tumors of the pituitary gland, are best treated with surgery. Endonasal transsphenoidal surgery is the operation of choice for pituitary tumors in both adults and children. UCSF has one of the largest experiences with transsphenoidal surgery in children in the world and the rates of hormonal normalization following surgery are comparable to adults (close to 90%). Although medical treatment is available for some pituitary tumors, lifelong treatment with medications can be a significant burden to younger patients and it is reasonable to seek early surgical consultation as an alternative to lifelong medical therapy.  UCSF's surgical outcomes after 10 years of endonasal transsphenoidal surgery for pediatric pituitary tumors have been published in the Journal of Neurosurgery: Pediatrics. CCPD Surgical Director Sandeep Kunwar, Chief of Pediatric Neurological Surgery Nalin Gupta, and pediatric neurosurgeon Corey Raffel are all experts in pituitary surgery for children. Read more about transsphenoidal surgery and our surgical team. Lewis Blevins, Medical Director of the CCPD, provides his expertise in neuroendocrinology in collaboration with pediatric endocrinologists at the UCSF Benioff Children’s Hospital. Patients with residual tumor after surgery or those who are not surgical candidates can often be treated with careful management of medications. Because these disorders occur at various stages of development, they can affect growth and hormonal function in different ways. Specialists at the UCSF Benioff Children’s Hospitals maintain long-term follow-up with patients to ensure their medications are adjusted appropriately and that any side effects of treatment can be appropriately managed. Children who need to be treated with radiation therapy are especially at risk for hormonal dysfunction and are followed for many years. Specific conditions such as craniopharyngiomas can result in significant late effects depending on the treatment protocol chosen. A major goal is to reduce the chance of major long-term effects while still achieving control of the primary tumor. The specific treatment decision often depends on the size of the tumor, its relationship to the brain and optic nerves, how much normal pituitary function is present, and the age of the patient. Although complete resection is favored in many cases, it usually results in loss of at least partial hormone function.